* Cracker Barrel cheese for $1.98/lb!! 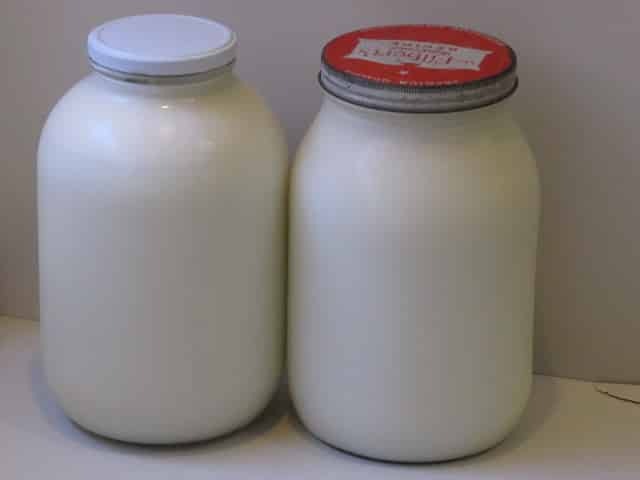 So, you know how last week I bought a bunch of cheese for just a tiny bit over $2.00/lb. because I haven’t seen cheese that cheap in ages? Well, guess what? This week there was a deal at Giant where I was able to get Cracker Barrel cheese for $1.98/lb! Go figure, right? It has a long expiration date on it though, so I’m not really worried that we won’t get it used. Plus, we love cheese so I could always just add it to the menu more often, it’s just that we typically don’t eat a lot of it to help keep our grocery expenses low. Oh, and one reason I was so excited about this deal is because I was able to get sharp cheddar and Cracker Barrel has some of the best sharp cheese in my opinion! I did my usual thing of using Checkout 51 to get a banana for $0.01. And the Reach and Bic items? They were part of previous gas reward deals that Giant ran and I had rain checks for them. 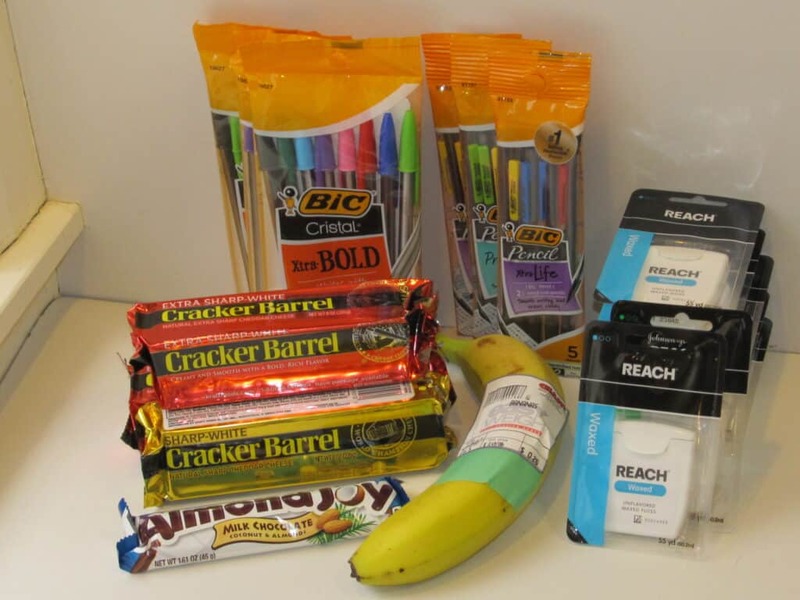 Basically, after gas rewards and sales, the Reach was a money maker of $4.47 and the Bic items a money maker of $0.71! I’ll probably end up donating some of each of the items. I about forgot about the Almond Joy! It was Saving Star’s Freebie Friday offer. I’m not a coconut fan so I think my husband will be enjoying this one! I haven’t shopped at Rite Aid in ages, partly because we were away for 6 weeks and partly but even before that, I had kind of stopped shopping there. For a while, their deals weren’t that great plus I really dislike that you have to use their UPRewards (the coupons that print at the register when you buy certain items, usually $2.00 off your next purchase etc.) within in 2 weeks time. That just isn’t very long, especially if the deals aren’t that great! 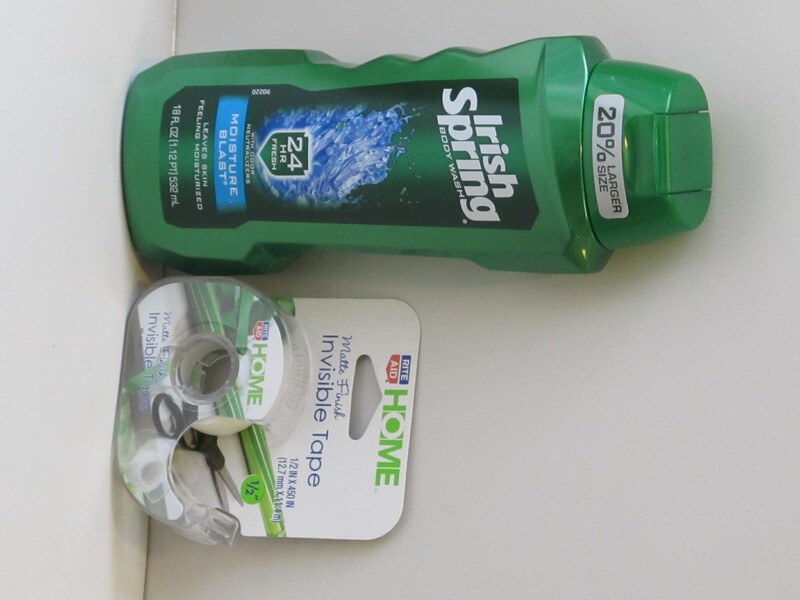 Anyway, I noticed this week that I could get Irish Spring body wash at Rite Aid for free. They also had a couple of other great freebies too and so I decided to try it again. After taking a bit of a break while being away for 6 weeks, I’m kind of feeling refreshed and ready to dive back into some serious deal shopping again. Unfortunately, they were out of stock on the 2 other things that I wanted, so I had to get rain checks for those things. I did obviously get the body wash though and was very happy about that. Anyone else have a hubby that goes through crazy amounts of body wash? Not sure why, but it just seems like he uses a lot. He does have a job in construction where he often gets pretty dirty, so I’m sure that is part of it. He’s definitely worth it though and I’m glad he cares about being clean! 🙂 But it is nice when I can find free body wash for him! I wasn’t intending to buy the tape but the Rite Aid that I shop at changed managers recently and the new manager now insists that they can’t adjust the dollar amount of coupons. Let me explain. 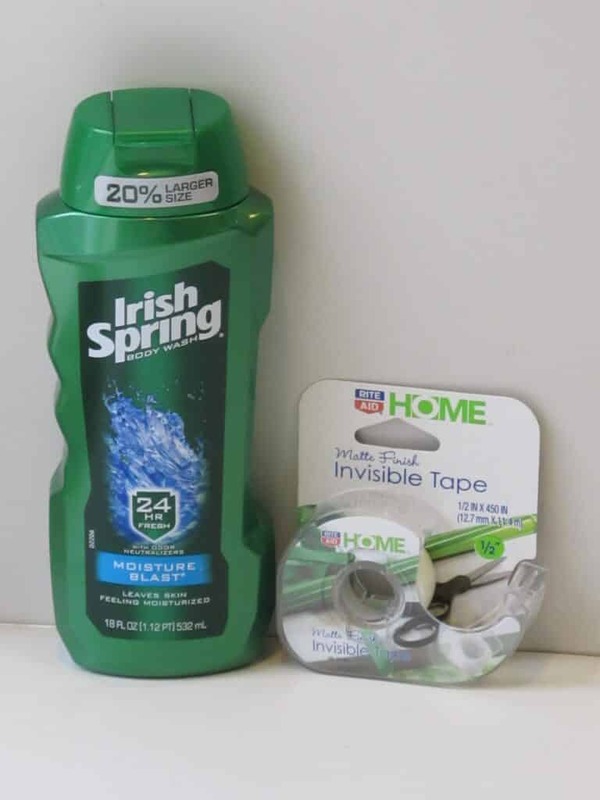 The Irish Spring body wash was $3.49. I had two coupons that were worth $2.00 each for a total of $4.00, meaning that they were $0.51 more than the actual cost of the product. Normally, stores will just adjust the amount of one of the coupons down to $1.51 since that makes the product free and doesn’t give any coupon overage. This manager though refuses to do that- says it’s coupon fraud (which it is not). I pushed back on them a bit about it since I know the staff there well and also am very familiar with how coupons work, but they were pretty insistent. I didn’t want to get nasty about it and so since we were needing tape anyway, I just grabbed some of that. So the extra $0.51 from the coupons went towards the cost of the tape. I was pretty sure that Rite Aid’s official policy is to adjust coupons down, so when I got home I pulled it up online and looked. Sure enough! It says vary clearly, “In the event that any item’s selling price is less than the value of the coupon, Rite Aid will accept the coupon in exchange for the selling price of the item.” So I printed it out and will keep it in my coupon folder in case I need to use it as a reference in the future. I’ve actually been meaning to print out the coupon policies of all the stores I regularly shop at, and add them to my coupon binder. I semi-frequently run into issues like this where store employees don’t actually know the policy of what is allowed or acceptable. I hate haggling with people- it’s not worth being annoying just save a little bit of money! But I have found that if I just pull out the policy and kindly show it to them, they usually are happy to know what is okay and will gladly give me the deal. Not much to say about this other than I love Aldi! Oh, and I wish egg prices would come down again. $1.85 for a dozen eggs just doesn’t make them a super cheap protein anymore. I guess it’s still cheaper than many meats, but still. – Several weeks ago I bought some Pampers thinking they were part of a sale where I could get the for $4.50. Unfortunately, I grabbed the wrong ones and I finally got them returned this week. – Back in January, you may remember that I bought 12 huge bottles of Gatorade because I was able to get them really cheap and my husband knew he could easily sell them at work. He did sell them and while we had originally planned that he’d sell them for $1.50 each, he ended up selling them for $2.00 each! One of his co-workers sells drinks and snacks there and apparently he had some of the small bottles of Gatorade priced at $1.50 and he really thought we should sell these big bottles for $2.00 each. So we did and they went like hot cakes! 🙂 In the end, we ended up making $15.00 on them, which I was quite happy with! Remember, you can freeze cheese. It is a little crumbly when you thaw it, especially cheddar, but it works great to cook with and if the recipe calls for grated cheese you don't even need to grate it. Good point, Sandy! I do freeze shredded cheese a lot, but don't often do the blocks. This reminded me that my mom-in-law actually has a method for freezing blocks of cheese that typically keeps them from getting crumbly. If it gets to the point that I'm afraid the cheese will spoil, I'll have to check with her again on exactly how to do it! I'd actually be interested in knowing her method for freezing blocks so it doesn't crumble.......... so if you get around to ask her, I'd be happy to have you share it! Thanks so much for sharing my Aldi post (again)! I want to do several more trip comparisons to see what the average savings is. I'm guessing it's pretty similar though. I enjoy your blog -- thrift on! Sure thing, Erin! It makes me curious what the savings would be between Aldi and a regular grocery store if there is that much of a difference at Walmart. 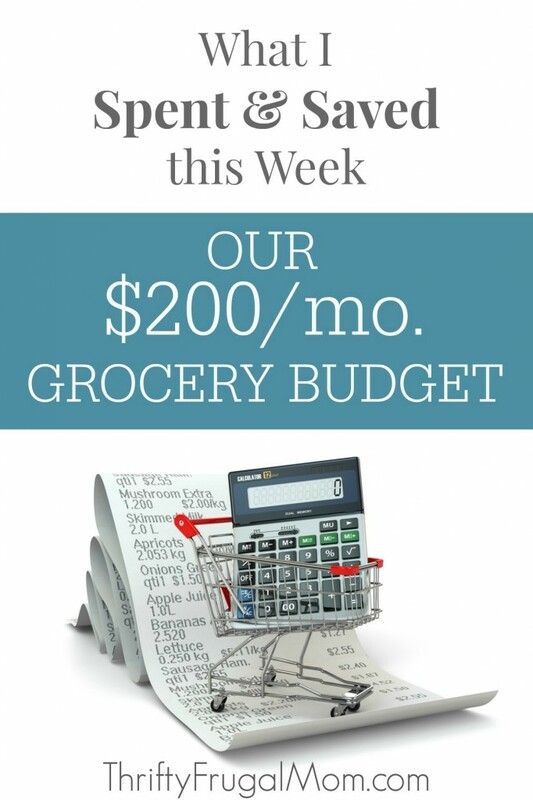 I love the idea of spending $200 a month on groceries but I wouldn't be able to practice it because my husband is super picky about things like brands. It's beyond annoying! I wish I could just do what I want! Lol ;[ Maybe if I show him your post and pitch the savings aspect I can get a bit more of compromise on his behalf. Thanks for linking this up to the #ShineBlogHop! It's so true that we are all different and have different preferences! And I know it can be hard when you are on a different page than your spouse. We don't have that issue in our budgeting but we do in other areas. :) If you are are really wanting to try to get him on board with trying to change the way you eat/live, it might also help to focus on the things that you'd gain instead of focusing on the things that you'd lose. For example, you could mention that the money saved could go towards a vacation, paying off debt or something else that you are really wanting to do. But be prepared for it to take a bit to convince him. 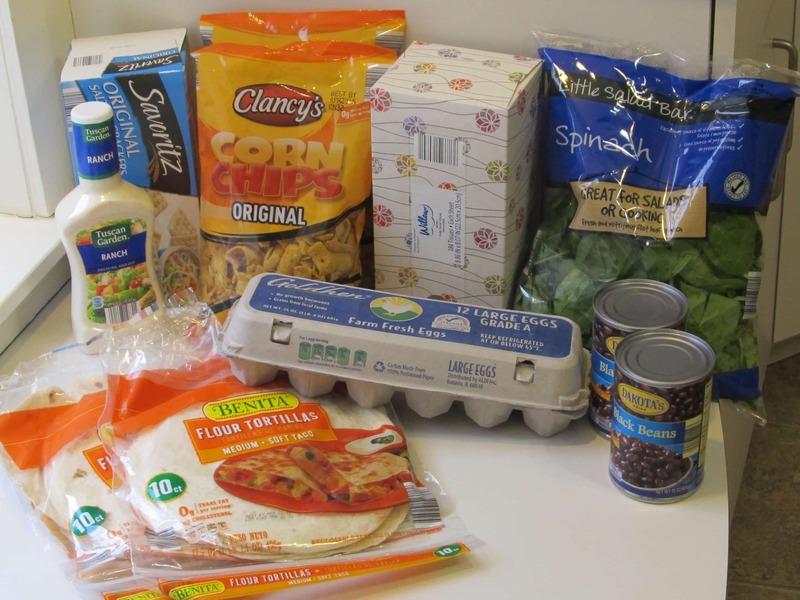 I know when we were first married and my husband wanted to set our grocery budget at an amount that I felt was ridiculously low, I balked for a long time. All I could think about was what all I was going to have to do without. Once I started looking at it as a challenge and also thinking about what we'd gain as a result (for us it was being able to save up for a house faster), that really helped!